Autumn in the United States. If you like the display of nature at this time of year, the latest fall foliage reports around the United States may help you decide when and where to go to get the best out of an Autumn drive in America. American tourism sites in the north-east all have foliage sections. Although it has been said that some of the best colours are around this region, Fall Foliage is not only something special for New Englanders. Some links have gone, some have been revamped and there's a couple of new additions to our leaves changing colour coverage. This is what they're up to in the United States. During October and November, colour watchers in the north provide weekly updates on peak colour, scenic drives and seasonal activities to the Alabama Bureau of Tourism and Travel. Suggested driving tour taking in many of the fall colour spots in northern Alabama - leaving from Birmingham, Alabama. The colour change begins in early October in the Ozarks or northern Arkansas and moves slowly to the south until it reaches the peak of colour in late October and early November. The Arkansas Department of Parks & Tourism has a network of fall colour spotters in every region who supply weekly updates. This information is combined into one report which is available by 5pm Central Time each Thursday throughout the season, so travellers can make plans for the weekend. Foliage reports on the Ozark Mountains website begin around October 10th. Foliage reports are for the White River Hills area of the Ozarks in north-central Arkansas. Fall colour reports are sent in from people around the state. Although Colorado doesnt have the full palette of fall colour that you find in many other states, the Colorado State Parks offer the perfect landscapes to enjoy the fleeting beauty of the season. Foliage season begins in mid-to-late September and extends through mid-to-late October. Estimated date of peak foliage - October 11 through November 13, 2010. Tips for 'Leaf Peepers' travelling to Connecticut. Travellers on Delaware roadways are treated to colourful displays from October into November. Fall foliage fans in Delaware can join the Killens Pond State Park naturalist for a relaxing stroll through the trails and learn why some trees change colour and why some stay green all year. Hike starts from the Sports Complex Area near the new band shell. Travel upstream to enjoy the sights and sounds of the fall. Be sure to dress warm for these chilly and fun paddles. Pre-register by calling (302) 284-4299. All paddle programs meet at the Killens Pond Boat Rental Area. Cost is $15 per single boat, $20 per double boat. Fall colour updates with recommended viewing routes. Check the Georgia State Parks in October, for the Best Parks for Fall Color. Experience a fall full of festivals, spooky zoos and haunted theme parks, brilliant colors on scenic trolley tours, and events celebrating everything from wine trails to scarecrows. With more than 100 events and festivals, Illinois has you covered when it comes to fall fun. In Iowa when people talk fall colour displays the north-east section of the state is often mentioned. This is a tremendous area to visit, but the beauty of fall colour can be found throughout the entire state. Fall foliage reports from around Kentucky, beginning on September 27th. Maine's Department of Conservation releases weekly foliage reports each year during foliage season (mid-September through mid-October). Learning fall foliage video for kids, explaining the changing colours of leaves. The Maryland Office of Tourism and the Maryland Department of Natural Resources offer a Fall Foliage and Festival Hotline in late September. Autumn is a special time in Cape Cod. With summer's warmth lingering, the multicolored splendor of New England's foliage offers a superb accent to the already beautiful vistas of this magical region just south of Boston. Experience the gently rolling New England countryside, awash with the colours of an Indian Summer. Travel past quiet ponds and ancient farms, weathered roadside taverns and sturdy colonial churches. A pleasant afternoon of foliage display is capped by a stop at a native orchard for apples and cider. Fall is a glorious time to visit Massachusetts. The trees wear magical coats of crimson, gold, and scarlet leaves; hillsides glisten under a pale pink glaze; dry leaves crunch underfoot; and every farm stand boasts piles of fat orange pumpkins. Foliage season begins in mid-to-late September and ends in mid-to-late October; peak colour often coinciding with Columbus Day weekend. It's when 19 million acres of woods slowly explode in a frenzy of color. It's when an entire state is in its annual blaze of glory. It's when autumn arrives in Michigan. And there's no better place to see the dynamic colors of a trillion trees aflame than along our highways, country roads and coastlines. So let's head out to the forests. And let's prepare to be amazed. On the fall color tours of Pure Michigan. Usually fall colors begin in mid-September and run through the end of October, peaking at varying times throughout the state depending on frost conditions. Except for the far western quarter of the Michigan Upper Peninsula which peaks from mid-September to early October, all other areas in the U.P. peak from late-September to mid-October. Fall drives are a tradition in Minnesota. To help you plan yours, the Fall Colour reports in Minnesota are sorted by region. Missouri is blessed with a great variety of trees, shrubs and vines. Their leaves turn at different times and, as a result, Missourians enjoy a fall colour season that may last four to six weeks. Each year, during foliage season, a state-wide network of leaf peepers furnish the NH Office of Travel and Tourism with updates on the status of fall colour. These reports cover the seven regions of the State. Fall is a breathtaking time to discover the states great outdoors as its palette of colors transforms the state from the Shore to the great highlands. Foliage reports from around New York State help you plan where it's best to go to see the leaves at their peak. Learn more about this natural phenomenon and autumn folklore. Beginning in late September and continuing throughout the season, fall colour reports for Asheville and the surrounding area are updated weekly, along with suggested scenic drives and fall foliage photography tips. Depending on temperatures, colours start changing in Ohio around mid-September; peak colour in the southern part of the state occurs around mid-October. To help Ohioans and out-of-state visitors make the most of this popular touring season, the Ohio Department of Natural Resources provides weekly Fall Colour Updates. The updates include on-the-spot reports from state parks, forests and nature preserves throughout Ohio, helping fall colour enthusiasts pinpoint the very best locations for peak viewing. Each year, from mid-October through early November, Oklahoma becomes awash with the rich colours and textures of autumn. From Beavers Bend in south-eastern Oklahoma to Boiling Springs in the north-west. Oklahoma's most renowned fall foliage drive, the Talimena National Scenic Byway, invites foliage fans on a pathway through the Ouachita National Forest; right across the tops of ancient mountains in south-eastern Oklahoma. Stretching from the Pacific Ocean to the Cascade Mountains, Lane County offers a variety of ways to see the changing colors of fall. From National Scenic Byways to bicycling paths, and riverside walks to rewarding river floats, Lane County offers a spectacular display of beautiful color. Fiery reds and golds surround you as you explore the rolling hills of Moshannon State Park or the majestic Appalachian Mountains. Choose one of the recommended driving tours to take you through some of Pennsylvania's 17 million acres of forest. Rhode Island provides the perfect getaway for those looking to enjoy classic New England fall festivities. The state harvests a cornucopia of fall activities and brilliant foliage throughout September, October and November. There's no time like fall for enjoying Tennessee's rich variety of natural beauty, from misty Eastern mountains to the eerie beauty of Reelfoot Lake. From the mountains in the east, across the beautiful Cumberland Plateau, all the way to the banks of the Mississippi, Tennessees fall spectacle is breathtaking. The Lost Maples State Natural Area colour display usually begins in late October and sometimes lasts through Thanksgiving, depending on the weather. The month of October is the most critical time period, with cool weather and sunny days producing the most brilliant colours. Reports start in October and are updated weekly through November. Vermont's folly season usually begins during early or mid-September and extends into October. The Northern end of the state will peak first, usually around the end of September. In the southern end of the state, the peak is roughly about the second week of October. The magic moment of the best foliage can be found at many different times and places as the season progresses. Twice weekly foliage reports and a foliage forecaster to tell you where the best colour will be. The Vermont Department of Tourism and Marketing's Foliage Report updates are issued on Tuesday and Thursday afternoons throughout the foliage season. As the leaves change, go and see the Old Dominion decked out in all her Autumn glory. Gregg O'Donnell blogs fall foliage reports in Virginia for the Virginia Department of Forestry. Each year the wild and wonderful mountains explode in brilliant fall colours. Take a look at some of the pictures. Best source for the lowdown on leaf conditions from reporters across Wisconsin. The western slopes of the Sierra Madre range offers an explosion of colour each fall. 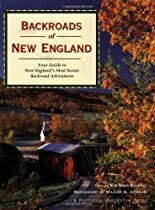 US state travel guides and hotel listings. The Laurentian and Appalachian mountains show off their prettiest shades, with those regions that boast a heavy concentration of maples becoming especially spectacular. Tourist railroads across North America offer up unique glimpses of Autumn's color. Every autumn, join throngs of 'leaf-peepers' and marvel at the stunning fall foliage that puts America's Byways on the map. During the months of September, October, and early November, The Foliage Network of 'Spotters' provide foliage reports which are updated twice per week. The updates are posted on Wednesday and Saturday. Find out more about Autumn's palette by following the University of Illinois' chosen fall tree links. A fun look at the working of the little leaf and the colour-changing process. As Asia is the largest continent in the world, it stands to reason that they also have a tremendous variety of climates. Most of Japan and Korea and much of China lie in the temperate zone and contain deciduous forests sporting colourful fall foliage. Among other species, crimson maples and golden gingkos bring colour to city streets and the countryside in the fall. In Japan and Korea, websites and newspapers also post fall foliage updates every autumn. In Hokkaido the autumn might starts as early as September while in Kyushu the autumn only starts around the end of November.